challenge researchers in areas of volume visualization and other volume-based graphics work to develop their work further in order to impact on the mainstream computer graphics, and to explore a wider range of applications. 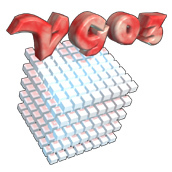 In the same way as previous workshops in Swansea (1999) and Stony Brook (2001), this workshop will continue focusing on the latest development of volume graphics through paper presentations and keynote lectures. Page maintained by Saeko Takagi (local organization committee).